To be fair, there is a sign at the back of the store (which doesn't face anything). Because of the way the property is set up, there's really no room for parking on ground level. So they got creative. The store was built around the same time as Byram but somehow feels like it is 20 years older. 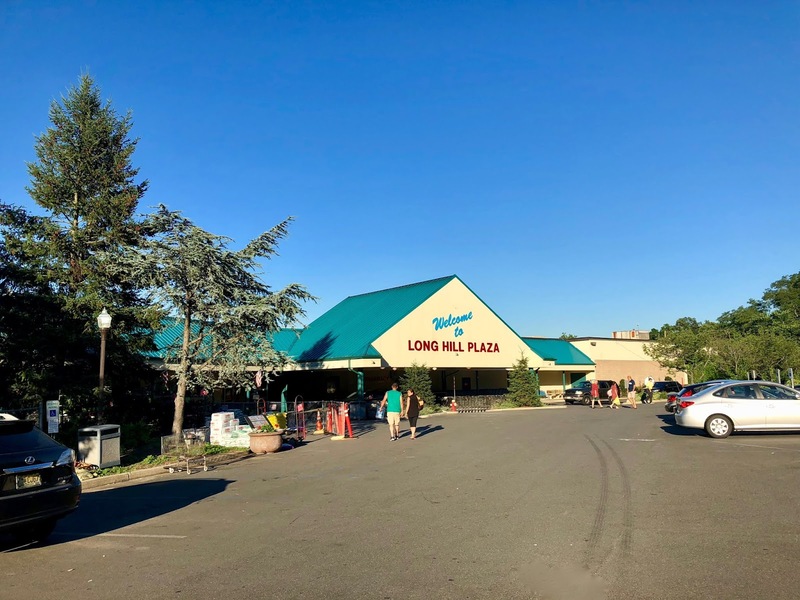 Clearly, its sales volume is higher being just north of Paterson, one of the largest cities in New Jersey (and a notably ShopRite-free city), but it has not been kept up to nearly the standards of Byram. This store is owned by Inserra Supermarkets, whose older stores tend to be neglected while their newer stores are pretty great. This was a source of moderate amusement for me. I sure don't see a stairway around here, do you? The stairway is actually along the wall to the left, but not exactly where the arrows are pointing. In other news, this store is slated to be replaced as early as this year by a new ShopRite at 180 Broadway, Elmwood Park on the site of a former Kmart. The store is up for lease now. Although the existing store, at 1717 River Rd, is 54,000 square feet, it feels tiny and quite outdated although it's only 20 years old. I didn't get any interior pictures, but let me tell you, you're not missing anything much. You can get an idea of what this store looks like by checking out the ShopRite of North Bergen.